Fassinating Fassbender - A Michael Fassbender Fan Blog: The Michael Fassbender Fundraiser was a £1305 Success! 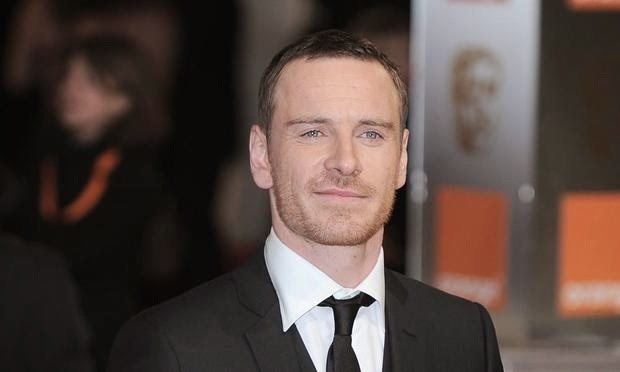 The Michael Fassbender Fundraiser was a £1305 Success! Today is a very proud highlight for the Fassinating Fassbender community. In our second year of the Michael Fassbender birthday fundraiser, benefiting The Bike Experience, we raised more money than we did last year (£159 more), and I did not expect that. I personally want to thank each and every donor for donating their hard earned money for this fundraiser. I stress hard earned money because your money is precious to you and go towards bills and to support you and your family/school, etc., but yet, for a fandom that you are a member of, you believed in this community and support it so much, that you gave money to a charity in honor of our favorite actor. The fandom for Michael Fassbender is large, but frankly, it is not a close knit group - we are separated by different ideas, and that's ok because everyone has different needs and expectations. So that's why it makes it all the more amazing and admirable that 39 Fassinators financially contributed to support the beautiful work of The Bike Experience! Tomorrow, on Michael's birthday, I will announce the three raffle winners. In the meanwhile, this morning, I emailed to Michael's management the birthday greeting announcement certificate. I'm sure he will be quite pleased. Below is a list of all the donors. Regardless of how small or how large the donation is, every single dollar/pound/euro contributed to the final record breaking total. Every donor's donation(s) was greatly appreciated and necessary to help us towards our goal. So please remember this next year - YOUR donation(s) mattered! Thank you for dealing with my constant reminders about the fundraiser. In this day and age with electronic media, and with everyone's attention being demanded here and there and everywhere, it was necessary for the success of this cyber fundraiser to be a constant presence. As you may realize, almost £500 was donated on Monday alone! So that's duly noted for me to remember next year! LOL! Isn't it exciting that we did so well Gabe? "Thanks Simone, I will make sure Michael receives and congratulations on a great fundraising total."